I tried to install omnet++ on my Macbook pro (OS 10.10) yesterday. 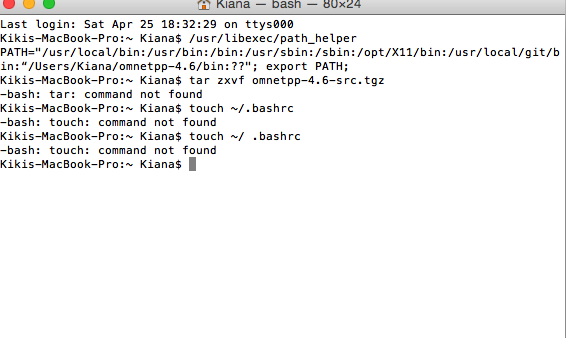 I got an error so I delete path in my bash-profile. Now, every command I try to run in my terminal shows an error of command not found. I try many ways but did not find a answer. Not the answer you're looking for? Browse other questions tagged mac terminal bash command-line path .